Researchers from Exeter and Tel Aviv University have developed software for wave energy converters that could more than double their output and significantly reduce their operating costs. 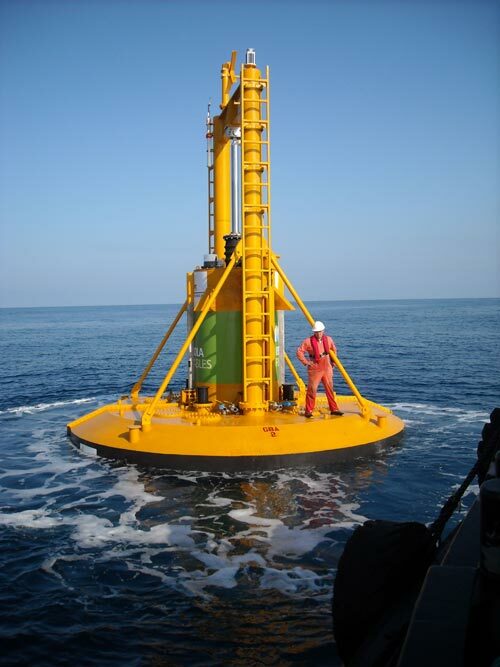 The system can be used in so-called “point-absorbers” – wave energy converters that float on the surface of the sea and generate electricity from the movement of waves. Examples include Ocean Power Technologies Powerbuoy and the Pelamis Sea Snake. The group of mathematicians and engineers have developed a technique to accurately determine the size of the waves before they impact the device, and prepare the device for that impact. Data is collected from sensors on buoys located away from the wave converter. This data is processed by algorithms that accurately predict the size of incoming waves. The wave converter then uses this data to mechanically prepare for the impact of the wave, so that the energy generated can be maximised or the risk of damage minimised. Simulations run as part of the study show that the approach is very effective and will yield “at least a two-fold increase in energy output”. This is great news for the UK, where for a long time energy policy has included generous estimates for the amount of electricity future generations will extract from the sea that surrounds it. However, the development of wave and tidal generators has lagged other forms of renewable such as wind and solar. The research was funded by the EU’s 7th Framework Programme.